Factory Entertainment has just unveiled their 1st of eight San Diego Comic-Con 2017 exclusives! Check out the SDCC 2017 Exclusive Justice League New 52 Cyborg Metal Miniature. This heavyweight collector grade 1:32 scale solid metal collectible of prosthetically-enhanced super genius Vic Stone aka Justice League member, Cyborg! This rad collectible features a highly detailed finish and is spun cast in small batches then hand-painted to exacting standards. 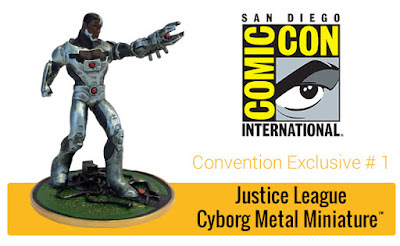 The San Diego Comic-Con 2017 Exclusive Cyborg figure is the first release in a new line of Justice League New 52 Metal Miniature figures coming out soon. Limited to 500 pieces, this con exclusive release will be the rarest piece from the new line! 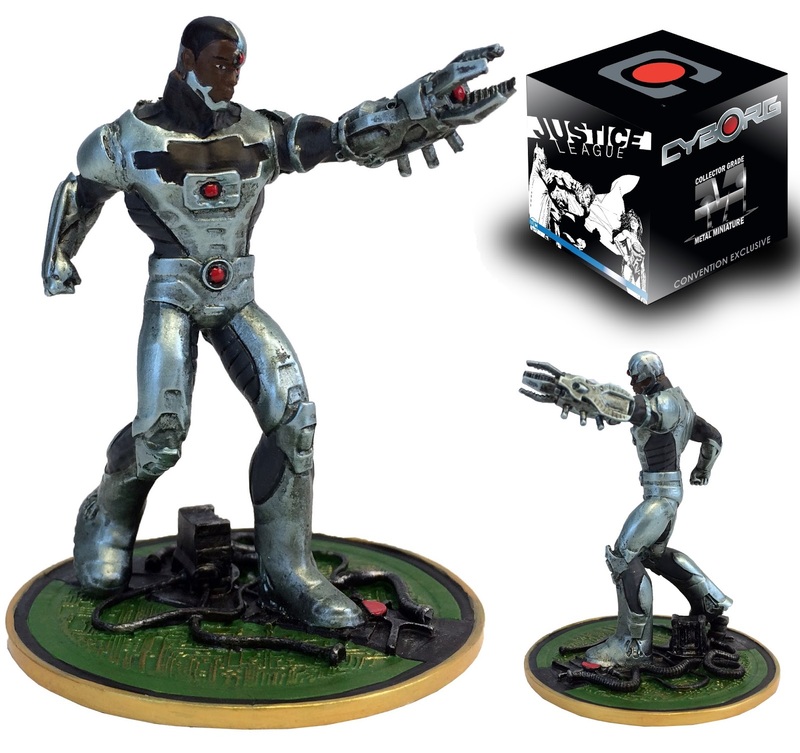 Collectors can pre-order this collectible now at the Factory Entertainment online store for $40 for either pick up at their SDCC booth #2647 or for shipment after the convention.